the she cat will play! My eldest boy has gone off on his travels to Devon for the week, and obligingly stripped his bed. Apart from missing him terribly (and if you’ll believe that you’ll believe anything!) a plan slowly formed in my mind. A moth with dusty greens, greys, limes and purples which even though you may be a yarn stasher you cannot but admire the beauty of such a delicately winged creature of the night. I’ve rather enjoyed this pattern which was Multnomah by Kate Flagg and the reason it is knitted is that I started a pair of socks but decided that the sock yarn – Sheeppaints Sock’n Go in Tulip- was far too pretty to be hidden by shoes. and although it was meant for Christmas.. I may have to give it earlier, because my mother is a moth in human form. She may be in her mid seventies but on nights out when abroad, my folks go out at ten and come home at two! And looking at the photographs that various people publish on facebook! she always looks as pretty as the most delicate of moths or butterflies. And I am hoping this rather pretty shawl may keep the chill off as they walk back to their apartment. I have no idea where there stamina comes from, one can only guess that it was from raising five children whilst working hard. And about that boy, I do miss him, I may ring him for the second time shortly. 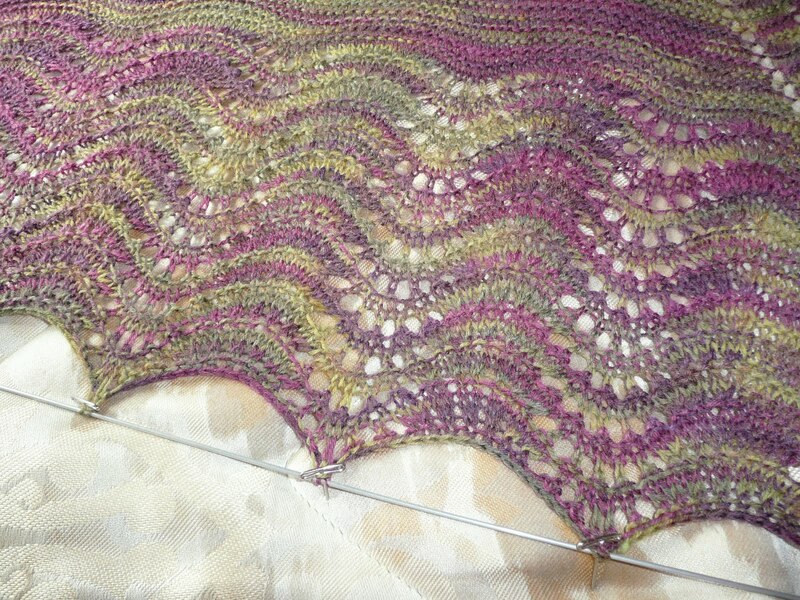 Pretty pictures of mums shawl and the blocking curse. 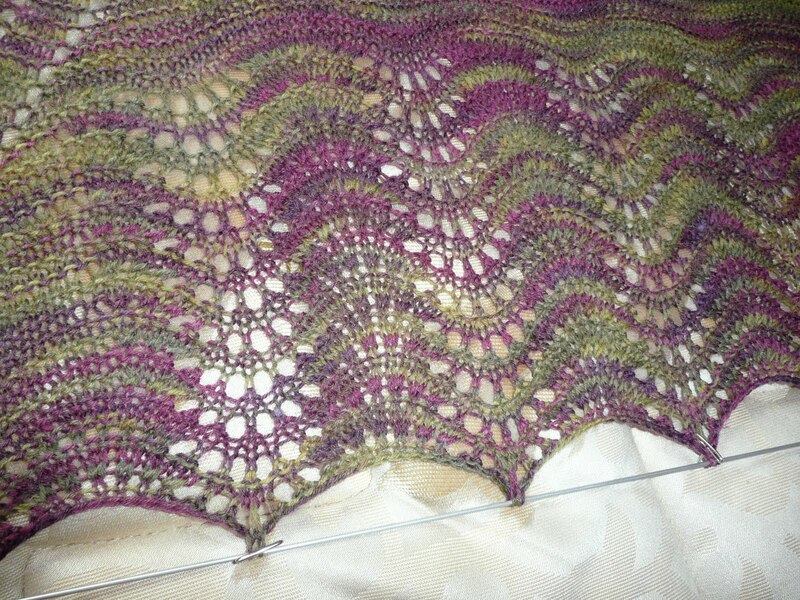 The shawl is beautiful – I can see why you're going to have trouble keeping that under wraps until Christmas! Beautiful, and that sock yarn was definitely too lovely to be hidden by shoes. I'm sure your mum will love it. That is absolutely stunning and does look like a very beautiful moth! !I'm sure your mum will just love it! !